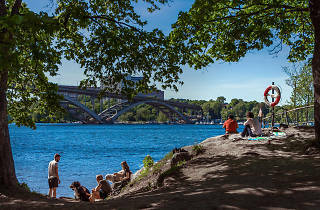 For most people, Stockholm doesn’t immediately conjure up images of tanning on an idyllic beach followed by an afternoon dip. But you can, in fact, do both, right in the city centre. 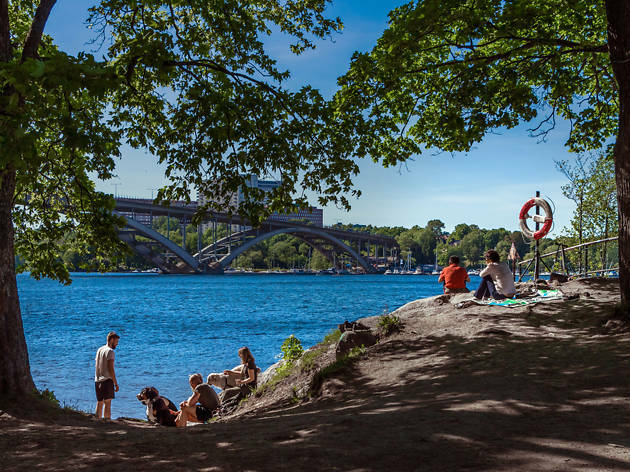 Just a 15-minute stroll from urban Hornstull’s bustling coffee shops and bars is Långholmen island, one of the Swedish capital’s most frequented swimming spots. With a modest sandy front, it’s surrounded by flat rocks and a grassy bank where locals love to picnic. Långholmen used to be the exact opposite of a place to chill out; from the eighteenth century until 1974 it was home to a prison. The buildings have now been converted into a smart hotel and hostel with a shady courtyard café—handy if you need a break from the sun.